Can you believe THE HOTTEST DAY OF THE YEAR is upon us? Waking up this morning felt like Ireland had suddenly moved beside the Meditteranean! The sun is glorious! It is amazing how much the blessing of gorgeous weather can uplift a nation! Ireland is simply a stunning little country when the sun shines and I hope you are all enjoying soaking up those rays and that fantastic Vitamin D! I am absolutely thrilled to (finally!) open up the summer wardrobe and today gracewithloveblog is celebrating the summer trend of 2016, the bardot top paired with a statement neck-piece! The bardot trend has been one that has caught my eye for a little while. I absolutely adore this Cream Crochet Bardot Top from Quiz. 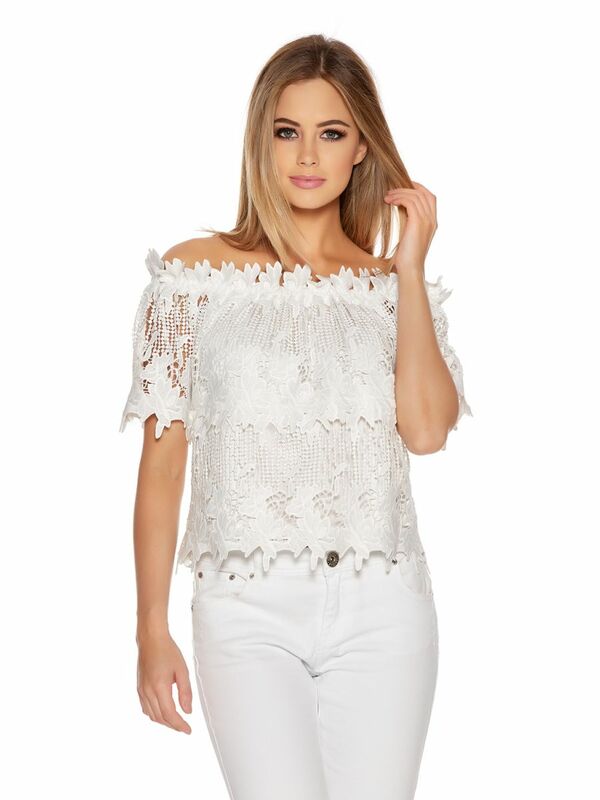 This stunning top features an all over crochet design and is utterly perfect for summer-time style! I love this top so much that I could actually imagine myself wearing it everyday haha! It is so cool and comfortable in the heat yet makes you feel dressed up and fashionable at the same time. You can find more information on this gorgeous piece here! Statement jewellery is just an absolute essential for me and there is nothing more rewarding than supporting amazing Irish talent and design. 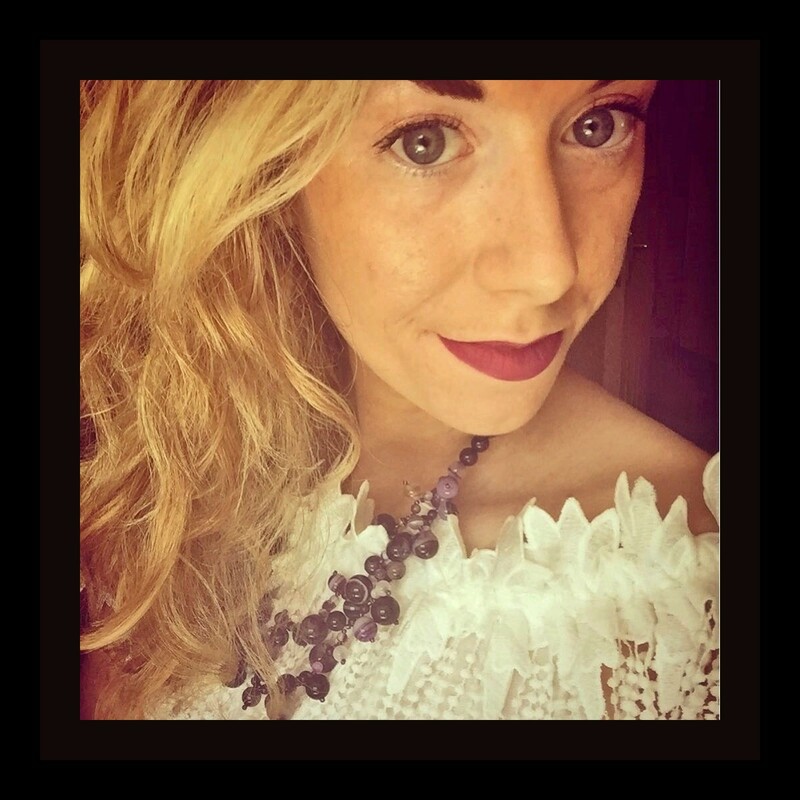 Located in Dublin, Deep Statement is a collection of beautiful necklaces hand-crafted from authentic luxurious materials.The brand was born out of an Irish doctor's two hobbies- art and statement necklaces! 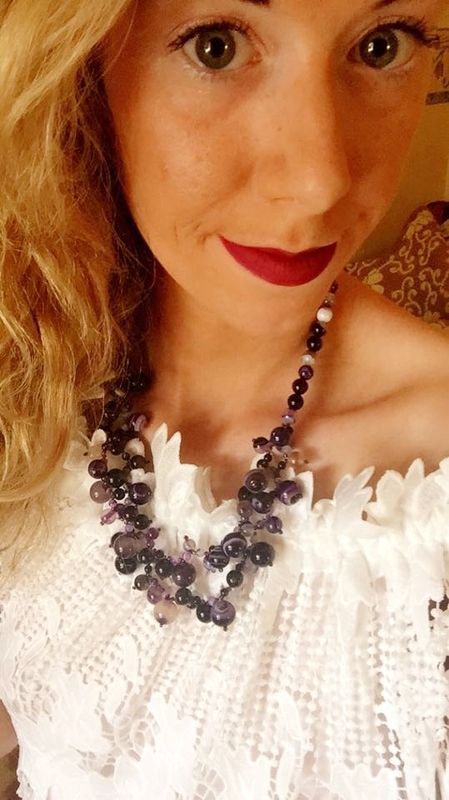 The class and quality of the pieces stand out and they are simply a pleasure to wear! Art has always been an interest of mine and it is a realm that creates such beauty and critical discourse. 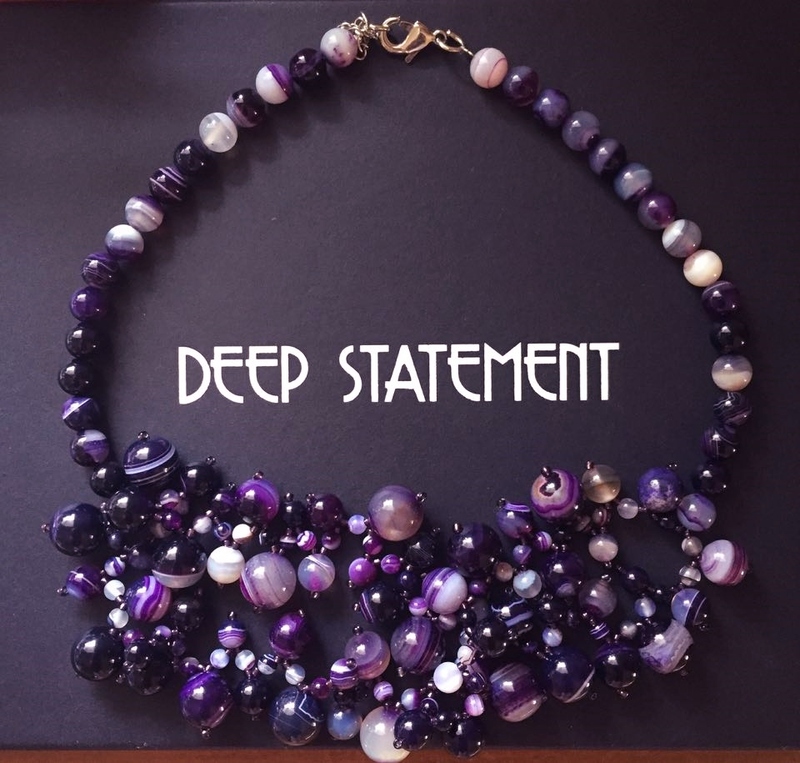 Deep Statement want their jewellery to make a statement through visual arts and each piece is individually inspired by Fine Art. The above "Adele I in Purple Chalcedony" is inspired by the art of Gustav Klimt. 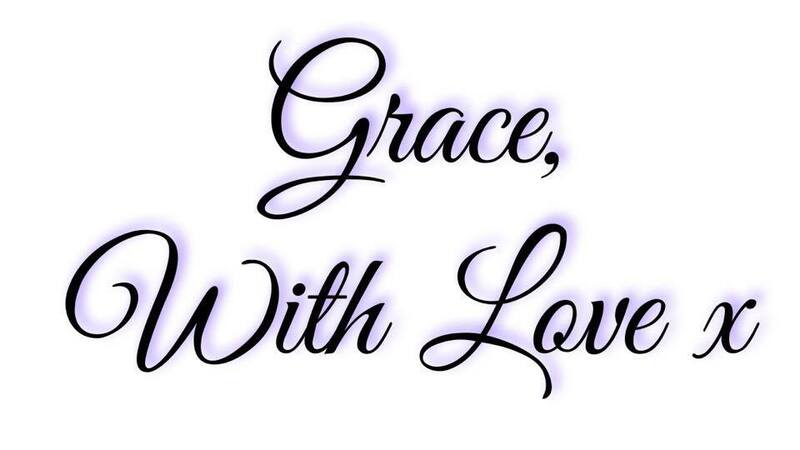 Deep Statement offer free shipping and luxury packaging as standard with a generous money back guarantee. The Adele necklace makes me feel like a queen as it so precious and luxurious to wear. You can delve into more of their astoundingly beautiful pieces here!